This DHP459SF 18V Lithium-ion 2 speed cordless hammer drill/driver is one of Makita's workhorses that features their famous brushless motor technology. No friction is generated with a brushless motor which provides a higher energy transfer while using lower amperage . This means better heat heat reduction and increased trigger time on a single battery charge. 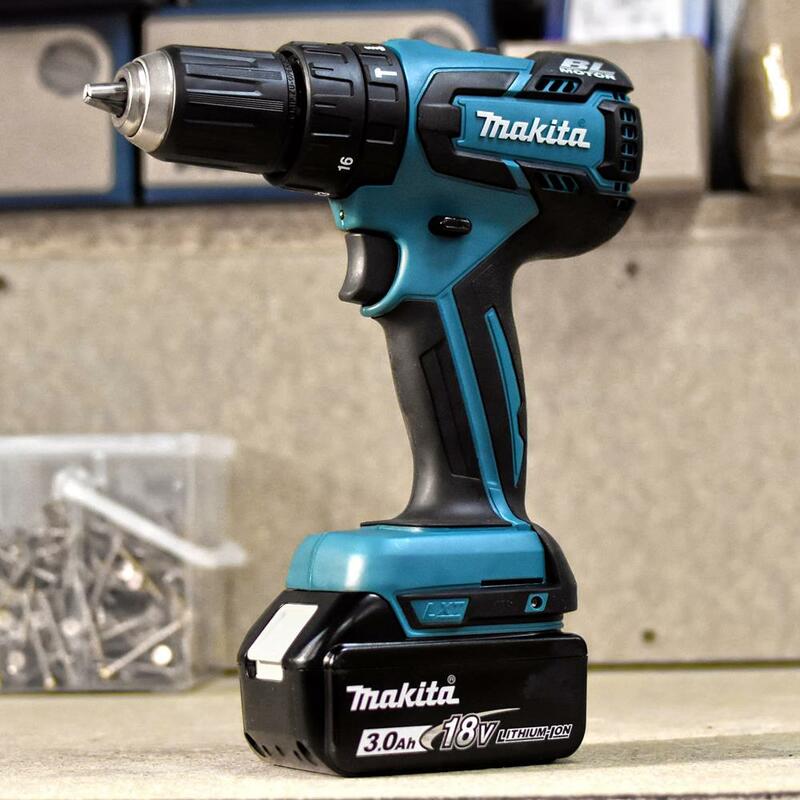 The DHP459SF 18V Lithium-ion 2 speed cordless hammer drill/driver features high operation efficiency with 45Nm max torque with 16 position adjustable torque control for uniform results and optimized precision. The metal gearbox has 2 speed/variable speed settings including reverse and hammer action with a 13mm keyless heavy duty chuck, drilling up to 13mm into masonry, 13mm into steel and 38mm into wood providing up to 1'500rpm and 22'500bpm, making it ideal for use in a variety of materials. It also has twin LED job light with Afterglow for use in low visibility applications together with a conveniently located push button for forward and reverse. 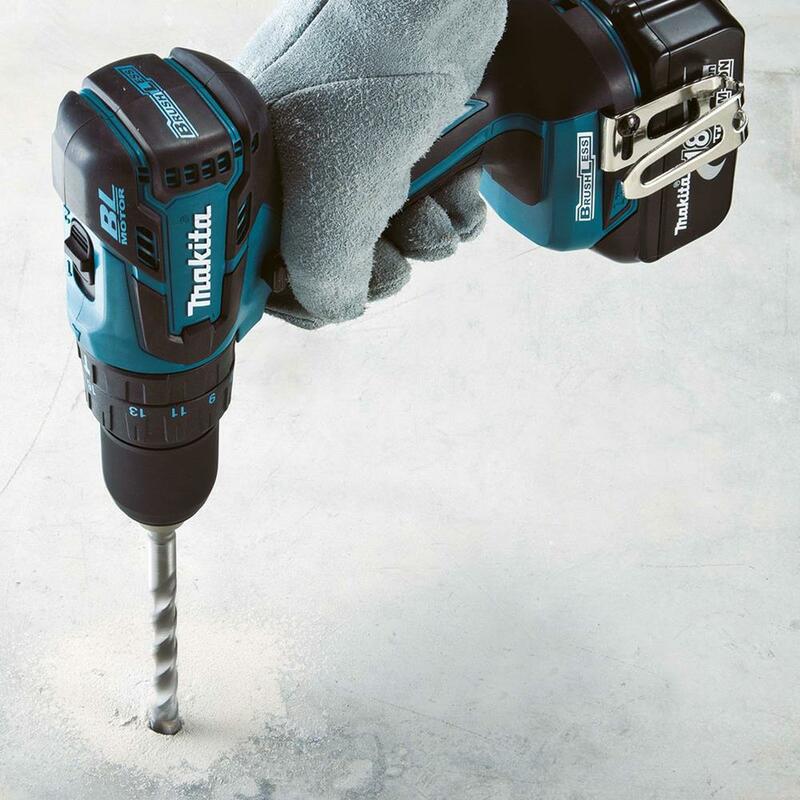 The well balanced, extra lightweight 1.7kg design of the DHP459 makes transportation around the worksite easy without compromising on power, whilst the ergonomic soft grip handle provides maximum user comfort reducing fatigue on prolonged use and providing greater tool control. 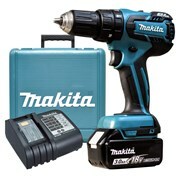 The DHP459SF is supplied with inlay & large MakPac stackable case, 1 x 3.0Ah battery and charger.